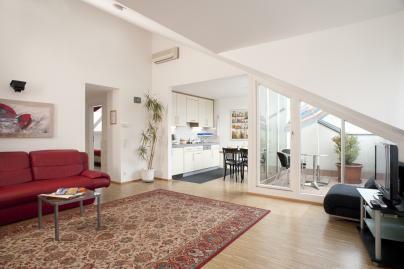 The 50m� penthouse is ideal for up to 4 persons. The flat has a bedroom, a living room with kitchen unit and a bathroom with WC. From the living room you can go onto the private terrace which has a beautiful view over the green inner courtyard.